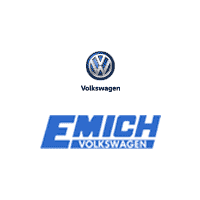 At Emich Volkswagen in Denver, Colorado, we want your finance process to be memorable in a positive way! Our helpful and friendly finance staff will make sure you get the best finance program at the most competitive rates. We offer some helpful resources online that will make your finance experience even better! Finance Application – Easy to fill out and you will get an answer about being pre-approved in seconds! No matter what your past credit history looks like, we promise to do our best to find you an excellent vehicle financing solution! Payment Calculator – Estimate what your monthly payment would be on a vehicle in our inventory. Another easy to fill out form that will show your potential payment amount! Vehicle Trade-In – Get a market estimate on what your vehicle is worth with the True Cash Offer™! Make an appointment to meet with our financial staff today or stop in to view our inventory and choose the perfect VW car or SUV for you.